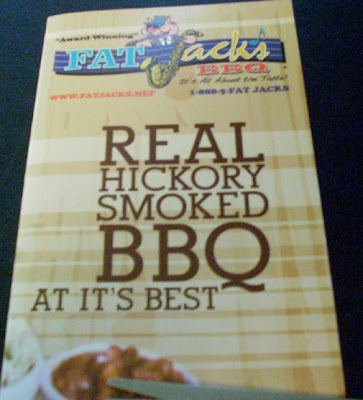 The slogan for Fat Jack's BBQ in Audubon, NJ, reads "Real Hickory Smoked BBQ at it is best." The logo with the Blues Brothers-esque pig is pretty hideous, too. 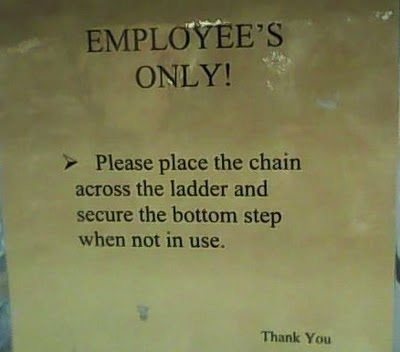 Thanks for Jason for sending in this apostrophe catastrophe! Lauren spotted this egregious punctuation error at Harrods in London. How shockingly un-posh! What would the queen say if she saw it? 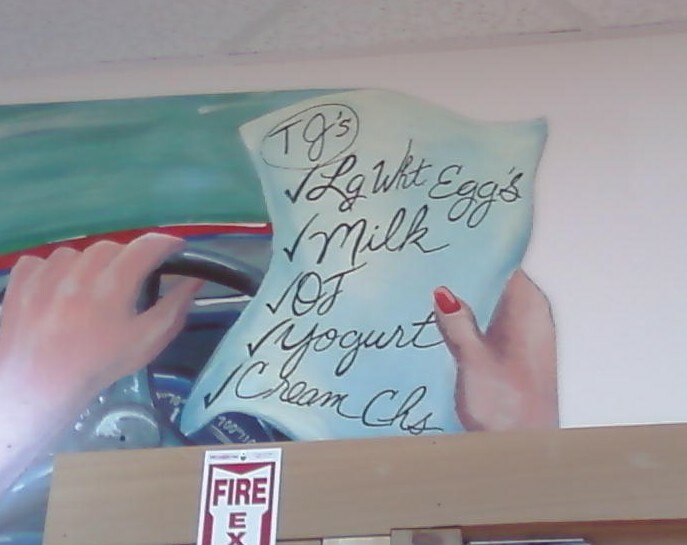 This cartoon woman in the Fresh Pond (Cambridge) Trader Joe's should cross eggs off her shopping list. Or at least remove the offending apostrophe. Maybe one symptom of salmonella is the inability to use proper punctuation. I still love you, Trader Joe's. Today's apostrophe catastrophe comes to us from my parents, who are both authors and who are both awesome, so I'm taking an opportunity to shamelessly promote them. My mom writes, "We, Becky’s parents, were horrified (and delighted at the same time) to encounter an apostrophe catastrophe on this road sign on a rural road in Oregon. Several miles down the road, we saw that the punctuation lapse was not made by the restaurant itself but by whatever state department is in charge of road signs. However, we still consider the spelling of Becky as Beckie to be a minor catastrophe." Check out my mom's website here and her latest children's book here. And here are my dad's books on Amazon. I was on the phone with my mother at the time, and I gasped. I would have hung up on her to snap a photo of the catastrophe (sorry, Mom! ), but the truck turned, and I was devastated to have missed it. I did a Google image search for Taylor Rental trucks, but nothing came up. I resigned myself that this Taylor Rental apostrophe catastrophe would be my white whale. Miraculously, just a few days later, I received an e-mail from Lindy with the above photo attached! It made my day, and not just because she signed the e-mail "one of your many loyal readers." Alan found this apostrophe catastrophe at the Parsley Mediterranean Grill in Grand Rapids, Michigan. Thanks, Alan! And I'm sorry for the verbal harassment! Check out Alan's full account of these events here. She decided not to stop there because she decided that their bad punctuation was probably indicative of bad coffee. 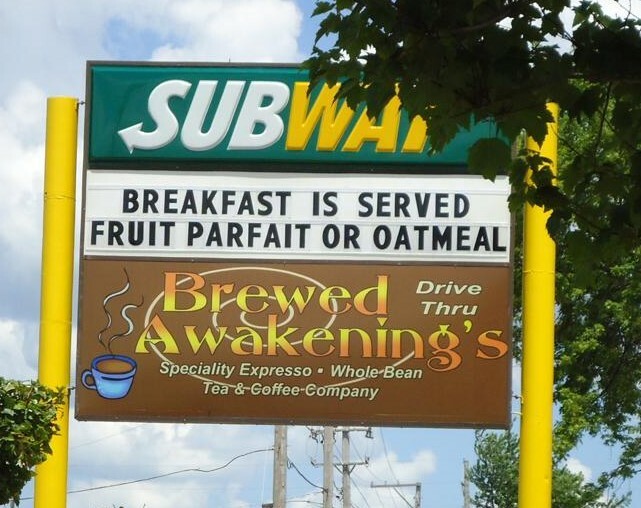 Aside from the bad punctuation, I think Brewed Awakening's is a bad name for a coffee shop in general because it's a pun on rude awakenings, and I don't really want to be rudely awakened by coffee. Coffee is a beautiful thing. Thanks, Melissa! Check out Melissa's blog here. Scott, who uploaded this photo to the Apostrophe Catastrophes Facebook group tells us he had to stare at this guy's t-shirt for 40 minutes while waiting in line for baked potatoes at the Big E in West Springfield, Mass. Oh, the level of stupidity in this world never ceases to amaze me. Sara sent me this apostrophe catastrophe that her four-year-old son brought home with him from summer camp. The watermelon art project is cute, and the cheesy pun doesn't bother me, but you're/your confusion is unacceptable. Thanks for the juicy catastrophe, Sara!